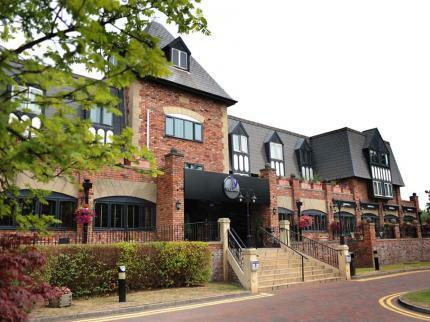 This is your opportunity to view this ideally situated wedding venue first hand, enjoy a complimentary glass of Fizz, and talk to NIA, and the rest of the VILLAGE Hotel Cheadle Wedding Events team who will be available to show you around the hotel and discuss all your special wedding requirements with you. Also present on the day for your convenience will be a Small Hand picked selection of the areas finest bespoke wedding suppliers. Quality Venue Dressers, Cakes, Photography, Wedding Dresses, Jewelry Men’s formal Wear Photobooth, Etc. and of course, Horgans Multi-Award Winning Wedding Cars. The Village Cheadle, will help the happy couple by offering great function rooms with spectacular facilities, great food and even a spa for the indulgent hens. Our wedding Showcase will provide a comprehensive selection of the area’s leading wedding suppliers and as such this will be a very special event. Be early for this one organised by County Brides Magazine.